How do U.S. Navy ships with the most advanced sensors, navigation, weapons, and command and controls systems in the world–that are supposed to be protecting us–just simply collide with other ships like toys in a bathtub? These Navy ships are a vital projection of U.S. might, and are supposed to be able to keep the worst foes away and keep our dedicated men and women warfighters safe at sea–whether from bomb-laden terrorist attack speed boats to anti-access/area denial missiles and all threats from on, above, or below. Either way, how many collisions does it take for this to become a concerning problem with our Navy’s ability to manage the ships under their command and be ever war-ready. A few months ago, there was a hackathon to test the Navy’s systems’ security–and most certainly, this is a crucial type of test that we potentially face every day in real life. 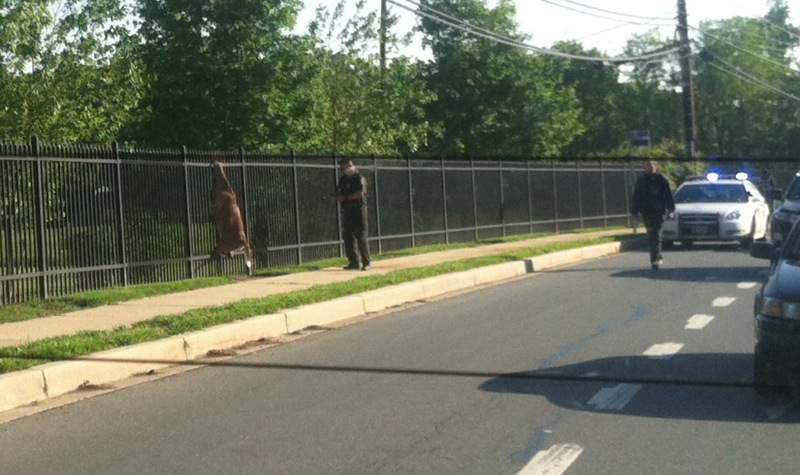 This deer just tried to jump a fence, but got impaled right through its neck–yikes! Truly a life lesson–it is good to reach high for what you want, but not to overreach. Maybe that’s one reason an incremental or phased approach is good. 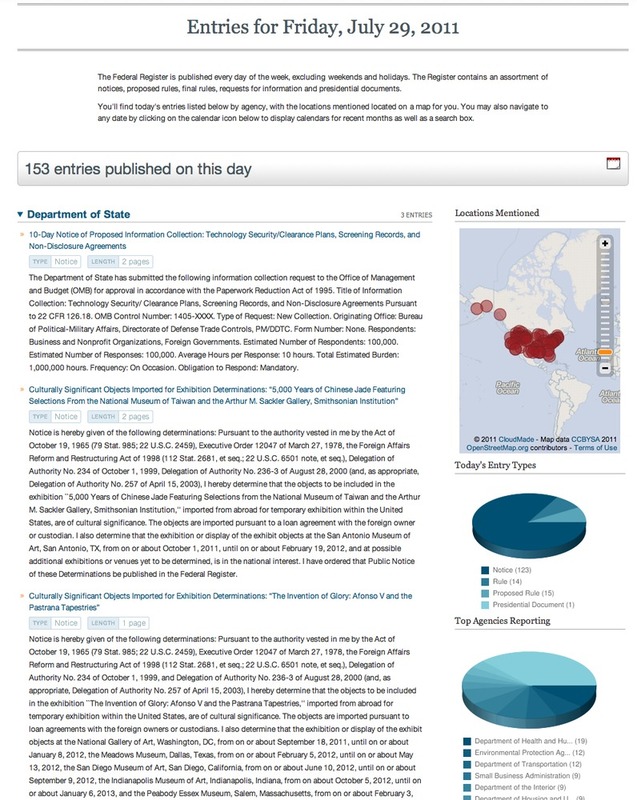 Now, here is a new way of looking at the information from GovPulse, a site developed to “make such documents as the Federal Register searchable, more accessible and easier to digest…to encourage every citizen to become more involved in the workings of their government and make their voice heard.” The site is built from open source. 4) Department Entries are Prominently Displayed: Both the number of entries for each department are identified as well as identifying their type and length along with an abstract for the entry. 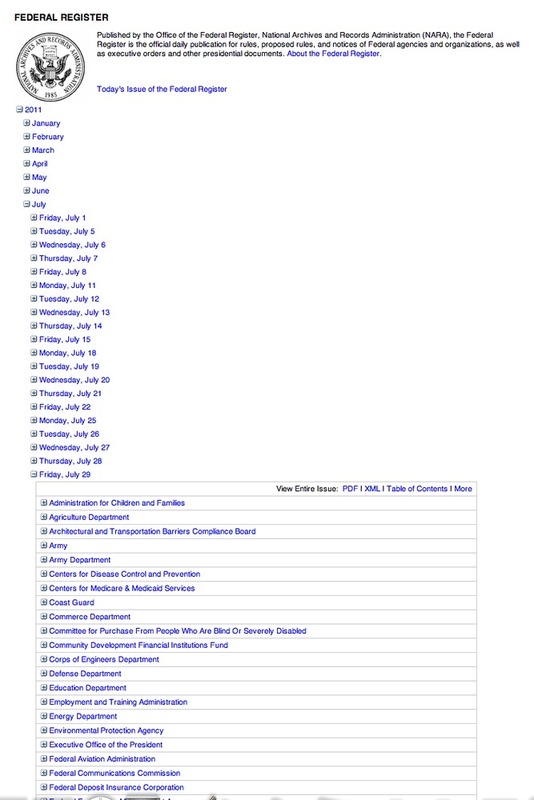 Each Department’s entries can easily be expanded or collapses by clicking on the arrow next to the department’s name. The obvious question is why does it take 3 outsiders “with a passion for building web applications” to do this? While I can’t definitively answer that, certainly there are benefits to coming in with fresh eyes, being true subject matter experts, and not bound by the “bureaucracy” that is endemic in so many large institutions. This is not say that there are not many talented people in government–because there certainly are–but sometimes it just takes a few guys in a garage to change the world as we know it.